When Petros lost his first dog to canine oral disease, he was inspired to not let his rescued pit bull suffer the same fate. Watch his inspiring story and learn about the invention that might just revolutionize canine dental care. When we met Petros, we were inspired by his story and his passion for canine dental care. Sadly, Petros’ story isn’t unique, as nearly 80% of dogs over the age of 5 suffer from some kind periodontal disease. Advanced cases of the disease can lead to organ failure and even death, especially in smaller breed dogs. Inspired by his invention, we decided to make the Bright Bite Brushing Stick part of our Project Play™ collection. 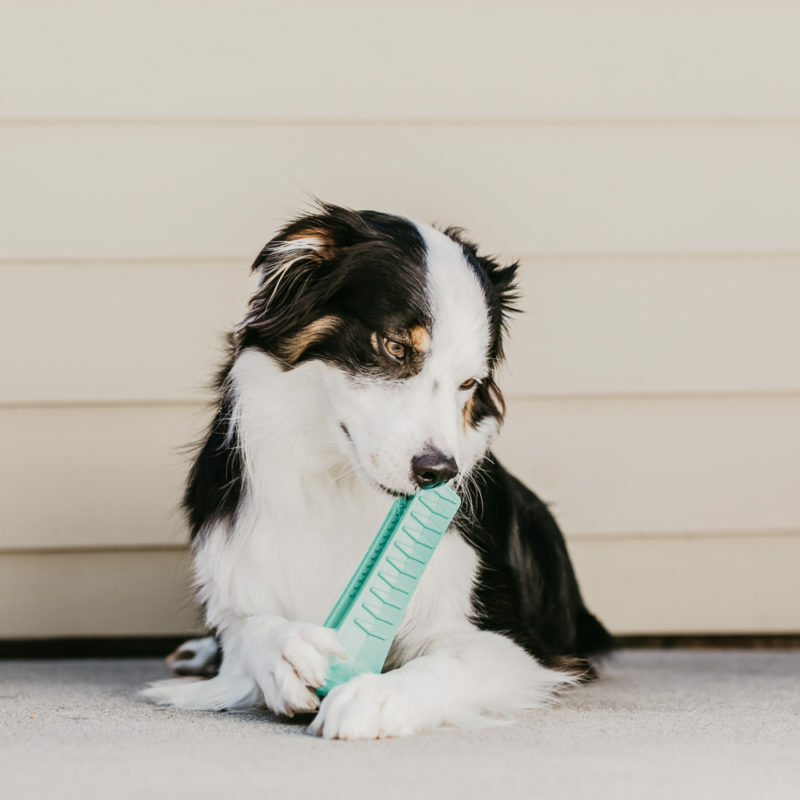 Not only will your purchase help the dental health of your own dog, but your purchase will provide a toy for a shelter dog in need! UPDATE 5/25/18 – Over 40,000 Brushing Sticks Sold! This product has had unprecedented demand. We are working with the manufacturer to increase production capacity as soon as possible. To check if the product is currently in stock, click here and scroll down. If you are able to add the item to your cart, it is currently available. Please be advised that we are unable to reserve this product or guarantee how much longer it will be in stock. Check Out All The Dogs Enjoying Their Brushing Sticks on Instagram!